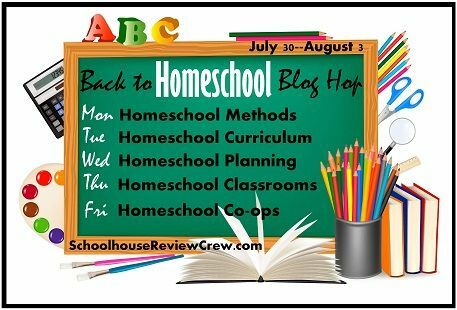 Welcome to the Back to Homeschool Blog Hop! Today's topic is: Homeschool Planning! Please check out my previous posts on Homeschool Methods and Homeschool Curriculum. I know some homeschool moms who spend the summer writing out lesson plans and scheduling the year. Although I admire those gals without measure, their way is not my way. I do very little formal planning. I like to use curriculum's that follow some kind of weekly schedule and I just open up the teacher's manual each day and go for it. Sometimes I run into problems where I will have needed to prepare something in advance, but most times it works out okay. I have not taught anything above fifth grade, so this may change as the kids get older. One of the benefits of not planning in advance is that it allows us to be more flexible with activities and taking a day (or week) off. I do like to plan out the activities that involve us leaving the house. I find that our schedule fills us quickly, and it is important to have those events on the calendar so that we can plan to work around them. As you'll read about on Friday, our schedule is pretty busy with various activities and co-op groups. We also have soccer, Cub Scouts, and piano lessons to work around. Despite my lack of planning, I do like to use a lesson planner. I use the planner to write what we did for the day, instead of what I plan to do. This helps me keep track of our progress, and I can also leave little notes to myself like, "Needs more long division practice," and "Mastered sentence diagramming." What kind of school year planning do you do? I love reading all the different ways to plan. You really see how God made each family unique and everyone's found a system that works for them. I did the "write it in after it was done" system when my kids were younger and am moving to more planned as they get older because that works right now. Have fun!